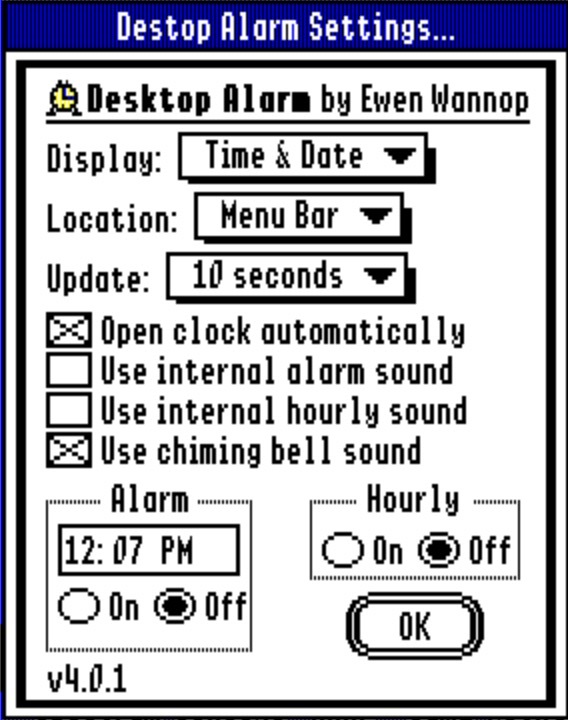 The Desktop Alarm NDA is based in part on ‘Alarm Clock’ v2.0 by Bill Tudor. Desktop Alarm is an Apple IIgs NDA that can add a clock, complete with alarms and hourly chimes, to either your menu bar or a window on the desktop. The clock can also be set to show up automatically whenever you start an Apple IIgs desktop application.